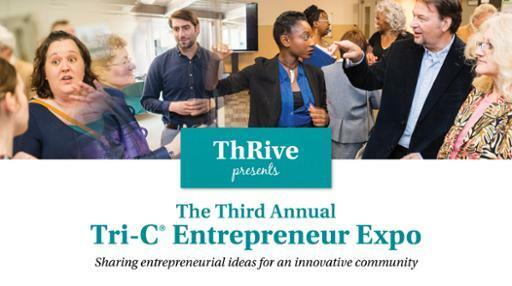 Cuyahoga Community College (Tri-C®) will showcase innovative business ideas from students and alumni this month during the third annual Tri-C Entrepreneur Expo at Eastern Campus. The free event to spark business growth in the community will take place from 10 a.m. to 3 p.m. Friday, March 23, in the Simon and Rose Mandel Theatre Lobby. More than two dozen businesses and start-up ventures will be featured. In addition, the expo will include educational workshops by Tri-C faculty providing tips on how to close more sales and deliver a dynamic and memorable “elevator speech.” The workshops begin at 11:30 a.m. The event also will offer opportunities for a free professional headshot by a photographer; networking with others in the business community; and discussions with representatives from the College’s Career Center. The expo is presented by ThRIve, a business incubator for students at the College. For more information on the event, visit the event website or call 216-987-4967. Eastern Campus is located at 4250 Richmond Road in Highland Hills.